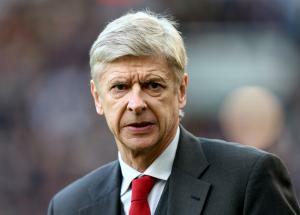 Arsene Wenger was born on the 22nd October 1949, in Strasbourg France, and is a soccer manager and retired player, who has managed English Premier League club Arsenal since 1996, leading the team to three Premier League titles among other feats. Have you ever wondered how rich Arsene Wenger is, as of early 2017? According to authoritative sources it has been estimated that Wenger’s net worth is as high as $48 million, while his annual salary amounts to $10 million. Arsene is the youngest of three children born to Alphonse and Louise Wenger, and grew up in Duttlenheim, a village near Strasbourg. Regarding his career as a player, Arsene was never a football star, playing in only 67 professional games for such teams as FC Duttlenheim, Mutzig, Mulhouse, ASPV Strasbourg and RC Strasbourg. After his playing career came to an end, he assumed the positon of reserve team and youth team coach of the RC Strasbourg. After this success, he was appointed as assistant to Jean-Marc Guillou at Cannes, which competed in Ligue 2 in the French Championship. Just a year later he became manager of Nancy, a team that struggled to remain in Ligue 1 – in three seasons, Arsene recorded 33 wins, 30 draws and 50 loses, and eventually the fell out of the league, finishing 19th in 1986-1987 season. However, after that he was appointed as the manager of Monaco, which he led to the Ligue 1 title in 1987-1988 season and Coupe de France in 1990-1991 season. Thanks to this great success, he was sought by German club Bayern Munich, but Monaco rejected him leaving, but then started the next season poorly and he was released by the club. After that he joined one of Japan’s most prominent clubs, Nagoya Grampus Eight, with which he won the Emperor’s Cup in 1995 and J-League Super Cup in 1996. ASrsene subsequently joined Arsenal in 1996, and since then has been writing the team’s history. He has won three Premier League titles, in 1997-1998, 2001-2002 and 2003-2004 during which his team went undefeated, which was previously accomplished only by Preston North End, 115 years before. He has won the FA Cup six times, and FA Community Shield. However, from 2005 Arsenal’s dominance began to decline, and there were many rumors of Arsene’s leaving the bench, however, he is still the manager of one of the England’s most respected clubs. Arsene has also won several honors as an individual, including LMA Manager of the Year twice, in 2001-2002 and 2003-2004 seasons, then Premier League Manager of the Season three times, in 1998, 2002 and 2004, and was inducted into the English Football Hall of Fame in 2006. Also, back in 2003 he was named Officer of the Order of the British Empire, among many other accomplishments. He is a brand ambassador for FIFA World Cup sponsor Castrol. Regarding his personal life, Arsene was married to Annie Brosterhous until 2015; the couple has a daughter born in 1997. Wenger speaks several languages, including Spanish, Italian, Japanese, German, French and English. He is a Roman-Catholic. 1 What is remarkable is Thierry Henry doesn't have the game of a goalscorer. If I told you that a guy had scored 99 goals in 159 games, you'd think he would wait in the box for every cross and never pass the ball. But he's completely different. He has the game of a footballer who drifts wide and doesn't just play inside the box. 1 Wife, Annie. Daughter, Leah (b.1997). They live in Totteridge, London. 2 He was awarded an honorary OBE (Officer of the Order of the British Empire) in the 2003 Queen's Birthday Honours List for his services to Association Football. 3 Is currently the second longest serving manager in the English Premier League, after Manchester United's Sir Alex Ferguson. 4 He was awarded the BBC Sports Award for Coach of the Year in 2002. 5 Whilst at Nagoya Grampus Eight, he won the Japanese Emperor's Cup and the J-League Super Cup, as well as J-League Manager of the Year. At Arsenal, he has won FA Premier League Manager of the Year in 1998, 2002 and 2004. He has also won LMA Manager of the Year for 2001-2002 & 2003-2004. 6 Under his management, Arsenal have won three English Premier League titles (1997-1998, 2001-2002, 2003-2004), four FA Cups (1997-1998, 2001-2002, 2002-2003, 2004-2005), and four Community Shields (1998, 1999, 2002, 2004). Between 1997 and 2005, Arsenal finished first or second in the league. He is also the first non-British manager to win the Premier League and the FA Cup in the same season - 'The Double' - in England, having done so in 1998 and 2002. In 2004, he became the only manager in Premier League history to go through the entire season without defeat. 7 Manager of Arsenal Football Club since 1996. The previous clubs he has managed are: AS Nancy-Lorraine (1984-1987), AS Monaco (1987-1994), and Nagoya Grampus Eight (1995-1996).